It'll be Opening Day in a few weeks and soon Major League Baseball action will be in full swing for its 2015 season. I've been a passionate Detroit Tigers fan since being a child and it appears my kids are gaining an appreciation and passion for the game from the time we spend enjoying the national pastime together. One way to encourage your children to become fans of the game, and also carry on your support of a favorite team, is to consider purchasing a Kids Club membership for them from one of your favorite Major League teams. This could be especially useful if you plan on attending a Major League Baseball game this summer because you could use the gear/swag as a souvenir to give your child at the game during your family outing to the ballpark rather than spend the elevated and extraordinary amounts of money charged for hats, jerseys, baseballs and other mementos at the onsite gift shops. Of the 30 MLB teams, 25 have kids programs to encourage children to become fans of the team and develop an interest in the sport of baseball. The programs vary from team to team in both the price charged to participate (ranging from FREE to $50) and the benefits provided, so it is important for the adult who may be purchasing a kids club membership for their child, grandchild, niece, nephew and so on to do some research before signing up to participate to make sure there is a value in your situation to participate. Some of the programs are really nice aimed to enhance the fan experience and enjoyment of the game while other Kids Clubs seem to be run as just another way to try to get a few more bucks out of a fan's wallet. 5) San Diego Jr. Padres - This program for kid's 14 years old and younger is FREE! Jr. Padres earn a reward for every home game they attend by scanning their official card. Rewards range from a rubber bracelet for attending one game to an exclusive player autograph session if the Jr. Padre makes it to the stadium for 11 games during the season. Club members also receive exclusive access to special team hosted events. 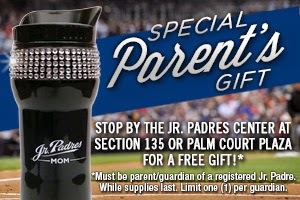 Moms who go to the games with their Jr. Padres win too getting a special parent gift - a mom themed tumbler. If you are already going to some games you have nothing to lose and get some extra perks by enrolling in the team's Kids Club. 4) St. Louis Cardinals Kids Club - The Cardinals really do a stand out job of working to create an experience to develop children into life long fans which includes having two distinct clubs, the Kids Club for ages 4 to 13 and a Varsity Club for teens 14 to 19 years old. The Cardinals Kids Club provides its members with a fun exclusive perk in hosting a MEMBERS ONLY PARTY at Busch Stadium that includes games, snacks, Cardinals players signing autographs, and a chance to meet the team mascot. Members are also provided 2 tickets to a Monday - Thursday home game during the regular season. Another perk of membership is Cardinals gear that includes an official Kids Club drawstring bag and a Fredbird Bobble Head Bank. The Varsity Club provides 2 tickets to a Monday - Thursday home game at Busch Stadium during the regular season plus admission to a specially designated "Varsity Club Day @ The Ballpark" game. Members are provided early access to the "Varsity Club Day" game which features a pre-game program featuring Cardinals Front Office executives and players and a parade around the warning track. Varsity Club gear includes a flat-bill cap and tablet cover with wireless charger. Members also receive a coupon book that provides discounts and free perks at Cardinals games and a membership magazine that is mailed to their homes. One drawback though is that these programs are on the pricier side when it comes to Membership fees for MLB kids clubs. The Cardinals Kids Club costs $30 plus $2 processing charge & $5 shipping and handling for a total cost of $37. The Membership fee for the Varsity Club is $35 plus 2 processing fee & $5 shipping and handling for a total cost of $42. St. Louis was #1 on the 2014 list of Best MLB Kids Clubs and while still a nice option for fans to participate in was downgraded to #3 this year because of what appears to be a slight reduction in the quality of the merchandise provided to the Kids Club's members compared to what was offered last year at the same price. 3) Philadelphia Junior Phillies- the Phillies have a decent Kids Club program that revolves around its 2015 designated player chairperson, Ben Revere. 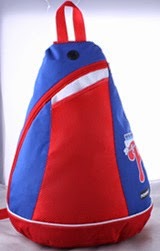 Members get Revere-branded swag that includes posters and magnets plus a Junior Phillies Club backpack. There are also other discounts and special events for Junior Phillies. Joining is just $15 but the caveat is that you have to pick up your membership items at Citizens Bank Park during a Phillies home game. What really stands out though about the Philadelphia Phillies is that they have a separate fan club just to celebrate their mascot for children 14 called the Phanatic MVP Club which is a separate program from the Junior Phillies. For $13 dollars, kids can become a member of the Phanatics MVP Club that includes a Phanatic MVP bobble head, sunglasses, a poster and other fun swag. 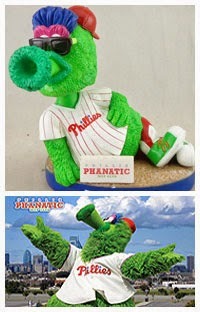 Members also get the opportunity to be invited to special events and receive a Phanatic birthday box. If parents sign their kids up for both clubs they can $3 on the total price of both memberships. Either membership is a bargain price by itself and the combined rate of $25 is equivalent to the average price of Kids Club membership across the MLB teams. The Phillies made the list this year for providing quality products at a reasonable price and for their creative use of their mascot in enhancing children's attention and attraction to their team. 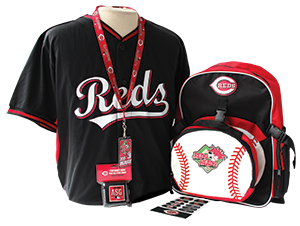 2) Cincinnati Red Heads - For $30 members 3 to 12 year olds receive perks that include numerous special events and some of the best swag items of any MLB kids club. RED HEADS receive an exclusive replica of a Reds batting jersey, a backpack with detachable lunchbox, 2015 ALL STAR Game wristbands, membership card with lanyard, free Bob Evans kids meal, and free admission opportunities to the Reds Hall of Fame & Museum, Cincinnati Zoo, and Cincinnati Museum Centers OMNIMAX Theater. A Reds Heads email newsletter is also thrown into this membership package for young fans. The Red Heads consistently provide a quality product to its fans and are a benchmark for MLB Kids Club programs. Cincinnati didn't make the number one slot this year though because they raised the membership price by $5 while slightly downgrading the quality of the merchandise they provide to its members compared to 2014. It's still a great program but not as great as it was last year. 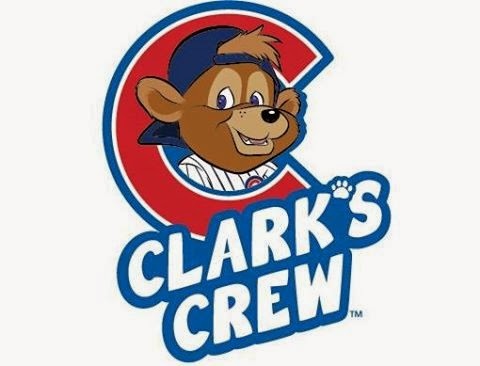 1) The Chicago Cubs - Clark's Crew really upped their game this year to get the #1 Kids Club in MLB ranking for 2015. As they promote on their website, Clark's Crew provides "Better Sizes, Cooler Items and More Fun! "to its kids club members than it has in the past. 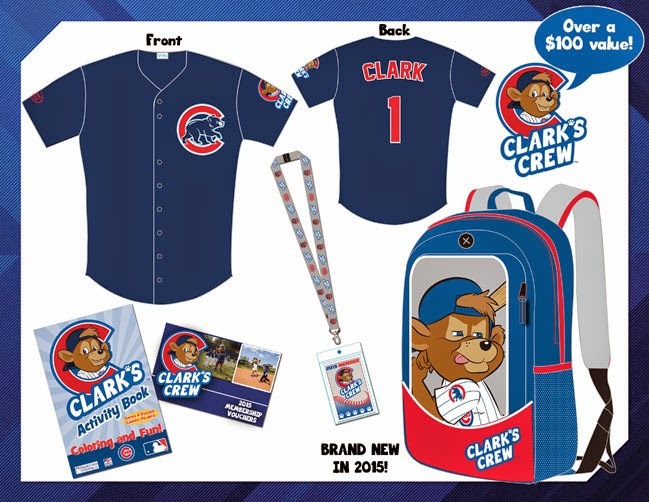 This year, members get a unique backpack, a replica jersey in a choice of youth sizes to ensure a good fit, a membership card with a fast-pass for Kids Run the Bases at Wrigley Field, an activity book with 32 pages of puzzles and games, a special Jewel-Osco Healthy Eaters Card (valid for a free apple or banana with EVERY visit to a Chicago area Jewel-Osco grocery), an opportunity to attend a Clark's Crew Member Only Player Q&A event during the season, exclusive mailings throughout the year, and other discounts and special experiences throughout the season. Joining Clark's Crew costs $25 plus shipping and handling for the delivery of the membership kit to your house. Another impressive option provided to fans by the Cubs, is its Newborn Fan Club. For $45 this program is perfect for new parents and their newborns. 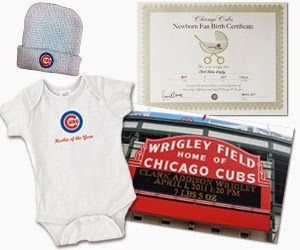 The Newborn Fan Club includes a customized photo announcing the birth (complete with baby's name, birthday, and birth weight) on the historical landmark of the Wrigley Field Marquee, exclusive Cubs birth certificate to hang in the newborn's nursery, Cubs baby stocking cap to help keep their smallest fans warm, and a Cubs "Rookie of the Year" onesie to show off the loyalty around town. Because the Cubs are doing an outstanding job of providing Kids Club offerings that enhance the fan experience at a reasonable price in an effort to build the life long loyalty of children to their team they are the World Champs this year for our A Geek Daddy Kids Club competition - now we'll have to see if that carries over to a World Series title on the diamond this season. Cheering on your favorite sporting team can be a great bonding experience for parents and kids plus a fun way to spend time together as a family. MLB Kids Clubs are a nice way to introduce your children to the team you cheer for and encourage them to join you as a fan. If you haven't checked them out for your local team, I encourage you to do so. CLICK HERE for a listing of all the MLB team's website kids' sections. Well our favorite team didn't make the list this year, but come Opening Day we'll still be cheering for the guys on the field wearing the Old English D. What team will you be rooting for this year? This is cool...I had never heard of this before. I will definitely be checking it out now though! What a cool idea!!! You are installing some great traditions with your family. NICE article! I didn't know any of this existed! I didn't know any of this existed, but sounds like a great program. Great family photo of Tigers fans. OMG! I'm going to have to show my hubby the Cubs one! SO fun! Thanks for sharing! I think kid clubs help in engagement and make it fun for families. How about dem Tigers?